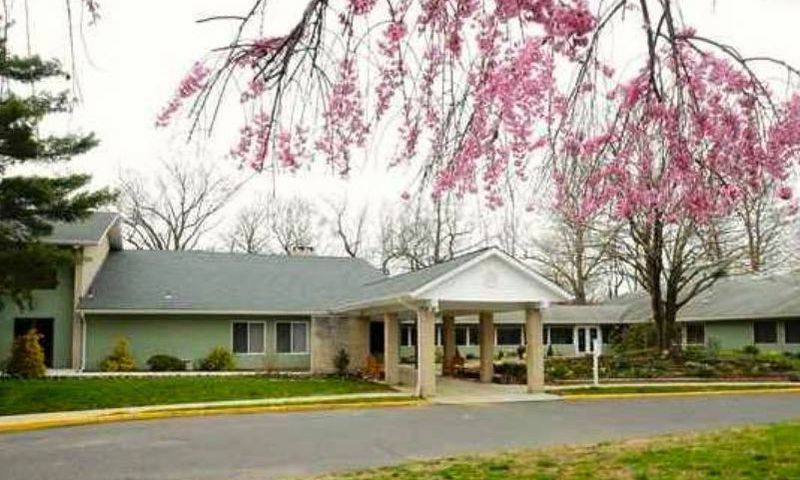 Shadow Lake Village in Red Bank, New Jersey is a beautiful 55+ community situated on 158 acres. Set against a beautiful backdrop of serene acres, this well-designed community features low-maintenance homes and resort-style amenities that allow residents to define retirement their way. Residents of Shadow Lake Village enjoy access to a private clubhouse with many indoor and outdoor amenities to keep active year-round. It s easy to make meaningful friendships with your new neighbors because there are a variety of planned activities and social clubs in the community. The hub of activity at Shadow Lake Village is the clubhouse that features a wide variety of indoor and outdoor amenities sure to keep residents engaged for hours. The fitness center has up-to-date equipment for strength and aerobic training. After a hard workout head over to the sauna and relax your achy muscles. Residents can meet friends for billiards or host a game of cards in the multi-purpose room. Step outside and take a dip in the refreshing pool or challenge a friend on the tennis, shuffleboard and bocce ball courts. Golf enthusiasts will love the 9-hole course that offers a fun yet, challenging experience. Residents can bike or walk the trails that wind throughout the community or take in the tranquil scenery while fishing on the lake. In addition, there is a community bus that takes residents to the train, shopping and houses of worship. Shadow Lake Village is a gated community comprised of 952 townhomes that were built from 1972 to 1980. These beautiful homes typically range from 909 to 1,391 square feet and have one to two bedrooms, one to two bathrooms and a garage or parking spot. This active adult community is the epitome of a low-maintenance lifestyle with the association covering landscaping, use of amenities and shuttle as well as snow and trash removal. Shadow Lake Village offers its residents the opportunity to live a physically active and socially stimulating lifestyle in a beautiful tranquil setting. Residents can stay active with the 9-hole golf course, billiards, tennis courts, shuffleboard, bocce, boating and fishing. There are also a variety of social clubs to join including pet club, gardening club, book club and more. Regardless of your passion, you are likely to find other like-minded individuals in Shadow Lake Village who share your interests. Shadow Lake Village is located in Red Bank, New Jersey just a few miles from Garden State Parkway. This beautiful community is built on 158 acres of land just north of Shadow Lake. Red Bank is filled with a variety of restaurants, shops, daily conveniences, culture, and recreational opportunities. Residents can enjoy unique events throughout the year like farmers markets, festivals, fairs and holiday events. Residents can even take day trips up to Newark or New York and enjoy all of the excitement and entertainment they offer. Active adults and retirees can find prime 55+ living in Shadow Lake Village in Red Bank, New Jersey. There are plenty of activities available in Shadow Lake Village. Here is a sample of some of the clubs, activities and classes offered here. Shadow Lake Village is a gated community comprised of 952 townhomes that were built from 1972 to 1980. These beautiful homes typically range from 909 to 1,391 square feet and have one to two bedrooms and one to two bathrooms and a garage or parking spot. This active adult community is the epitome of a low-maintenance lifestyle with the association covering landscaping, use of amenities and shuttle as well as snow and trash removal. Please Note: Floor plans are not available at this time. Excellent value with wonderful golf course and swimming pool included in condo fee. Nice people,beautiful grounds, many condo floorplans. Shadow Lake Village is really nice in the fall with all the big old trees and the lake. The places here are priced right and if you like nature you'd love living here. All the homes are surrounded by large trees and even though it's a condo community, it's really private and quiet. 55places.com is not affiliated with the developer(s) or homeowners association of Shadow Lake Village. The information you submit is distributed to a 55places.com Partner Agent, who is a licensed real estate agent. The information regarding Shadow Lake Village has not been verified or approved by the developer or homeowners association. Please verify all information prior to purchasing. 55places.com is not responsible for any errors regarding the information displayed on this website.